If It’s November . . . It’s NCTE! Over the years, Carl Anderson and I have often found ourselves working at the same New York City schools, with Carl supporting the same teachers in writing that I support in reading. Frequently in those schools, a teacher will respond to something I’ve said with, “That’s just like what Carl was saying about writing,” which suggests she’s seeing a powerful reading-writing connection. Rarely, though, do Carl and I find ourselves in the same school on the same day. So I’m thrilled to be presenting with him at NCTE this year, where we’ll look at conferring with readers and writers and as an act of advocating for students’ agency, thinking and voice. While we’re still finalizing plans for the session, we’ll both be setting conferring within the context of students meaning making. In writing, this means ensuring that students have time to really explore and think about both what they want to say and how they might say it—which is precisely what I think my daughter, who I wrote about last week, didn’t get. The primacy of meaning is why it’s at the top of Carl’s assessment of writing traits check list from his great book Assessing Writers, which I always share with teachers whenever I’m working on writing, along with the chart from the same book on specific research questions you can ask students during a conference. I think of this charts as a hierarchy (and a great crib sheet for teachers to keep in their conferring toolkits), with meaning as the most important trait. This means that you wouldn’t want to teach something in a conference about any of the other traits unless a student really knew what they wanted to convey. And that could be revealed in either the student’s draft or their answers to your research questions. 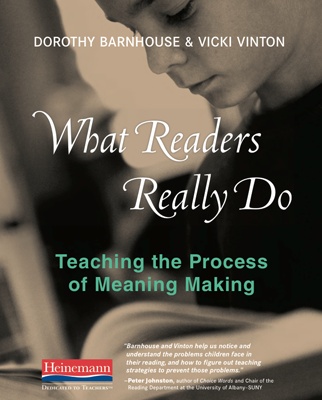 Adapted from What Readers Really Do by Dorothy Barnhouse and Vicki Vinton (Heinemann, 2012). As the braiding graphic suggests, readers weave these different strands of thinking together as they read in order to construct meaning. But it’s hard, as a reader, to engage in the work of understanding if you haven’t comprehended something basic, like the identity of a first person narrator or how certain characters are related. So one of the challenges in reading conferences is figuring out what kind of thinking students are already doing and where they might need some support—and this challenge is compounded by two facts: You may not know the book a student is reading and you won’t have the same kind tangible draft of student work to look at as you do in writing. In my session with Carl, though, I’ll share how you can get a window into students’ thinking by having them orally ‘draft’ an understanding of a passage from whatever book they’re reading as you read it alongside them. Then I’ll show you how to use the three-strand framework for meaning, your own draft of the passage, and specific research questions to decide what to teach, all of which can be seen in this flowchart from the new book, which captures the different common paths meaning-based reading conferences can take. 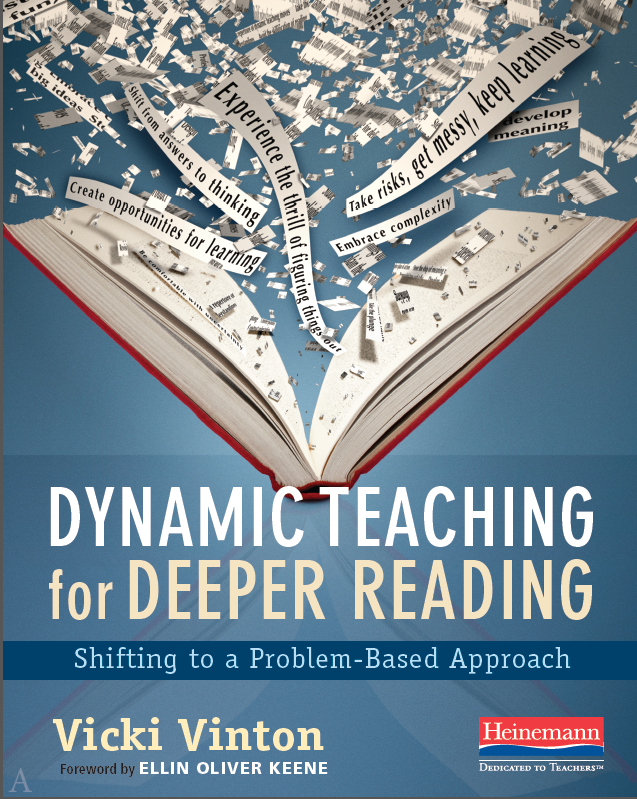 © 2016 by Vicki Vinton from Dynamic Teaching for Deeper Reading (Portsmouth, NH: Heinemann). • The Hong Kong International School’s Literacy Institute, January 21 & 22, 2017. • The Wisconsin Reading Association’s 2017 Convention, Reading Our Worlds, Composing Our Lives, Realizing Our Humanity, February 9-11, 2017. • The Morris-Union Jointure Commission (MUJC) Professional Development Center, New Providence, NJ, “Using Mentor Texts to Deepen Students’ Understanding of Genre, Structure & Craft, February 15, 2017. • The Morris-Union Jointure Commission (MUJC) Professional Development Center, New Providence, NJ, “Close Reading Skills Through Interactive Read Alouds,” March 24, 2017. • NESA’s Spring Educators Conference, Bangkok, Thailand, March 31-April 2017. • New Hampshire Literacy Institutes at the University of New Hampshire, July 3-14, 2017. And now I’ve got to check out the NCTE app and start planning for what I’m sure will be an amazing convention! Every summer, there’s also new art, and this year we have sculptor Martin Creed’s “Understanding,” the neon and steel piece you see above that actually rotates 360 degrees. My partner David and I first noticed it from behind as it was being installed, and it took me a while to realize that the word we were trying to read backward was understanding—and that the workers on the ladders and cranes were literally constructing understanding, which, once I figured that out, delighted me no end. You see, I believe that deep, lasting learning best happens when learners are actively involved in the construction of understanding and knowledge, versus receiving, memorizing—or as Jeff Wilhem says in Engaging Readers & Writers with Inquiry, consuming—information. So before Labor Day is upon us and everyone’s back in school, I want to invite you to read a very short story called “A Story About the Body” by the great poet Robert Hass in order to construct a deeper understanding of what realistic fiction is and what it does for us as readers. As Katherine urged, try reading it attending to what it stirs up in your mind and heart and then, based on how it affected you, try to articulate in a more general way what you think the deeper purpose of realistic fiction seems to be and how writers convey that purpose. (And try to not default to what you already may teach, like saying that realistic fiction is a story about people and events that are made-up but could happen in real life, and it’s purpose is to entertain, which, as I wrote in an earlier post, doesn’t capture the complexity of what writers do.) And since it’s sometimes easier to construct an understanding of a genre by looking at more than one example, consider clicking on the links for two other short stories I’ve shared over the years, “Wallet” by Allen Woodman and “20/20” by Linda Brewer to see how they inform your thinking. Finally, in the spirit of collaborative learning and community, please share your thinking about Hass’s piece and/or realistic fiction in general by tweeting (using the hashtag #tomakeaprairie) or leaving a comment here, by clicking on either the speech bubble at the right of the post’s title, the word ‘reply’ that following the list of tag words at the bottom of the post, or, if you’re a subscriber, on the comment link at the end of the email. While I’m a firm believer that poetry should be read throughout the year, I fear I tend to wait until April, when it’s National Poetry month, to write about it—just as many a teacher waits until then to dust off the poetry books. This is a shame, if not a crime, as is the fact that too many Common Core interpretations have all but squeezed poetry out of the curriculum or relegated it to a handful of lessons to tick off Reading Literature Standards 4 and 5. Then and only then do I move from exploring what a poem does for a reader to how it manages to do that. And one of my favorite ways of helping students—and teachers—see how poems work their magic on readers is by asking students to think about how a poem is different than a greeting card, such as this birthday card for a mom: And this poem by Judith Ortiz Cofer: Many students can readily see that the poem on the card is broader and more general—even, we might say, generic—and it more or less hits one emotional note. Cofer’s poem, on the other hand, is highly specific. She writes about a particular mother who we can picture and hear and who is much more complicated than the every mom of the card. Because Cofer’s mother is so complicated, she and the poem seem more real to me than the ‘always’ mom of the card. And while my mom never wore an amulet or lived in a second-floor walk-up, the poem gets me thinking about all the complicated and confusing messages she sent me through the way she put on her lipstick or clutched my white-gloved hand in hers as we hurried through Grand Central Station. In this way the poem does exactly for me what Simic says poetry does. I see myself in the specifics of Cofer’s poem, despite the fact that all those specifics are quite foreign to me. And this is the magic of poetry—and, I think, of all literature: the more specific and particular it is, the more it taps into universals that enrich, deepen and move us. Anchoring themselves in the poem through these lines, students can then begin to think how these lines and feelings are connected with others by wrestling with the sort of open-ended questions I shared in January. This will ultimately allow them to interpret the poem and then—and only then—to hit Reading Standards 4 and 5. Or put another way, before students can analyze how a poet’s specific choice of words, structure and figurative language shape meaning, they have to feel the affects of those choices on themselves as readers first. Of course the words ‘feel’, ‘feelings’ and ‘pleasure’ are nowhere to be found in the Standards. But if we hold on to what the Standards do say—that they “define what all students are expected to know and be able to do, not how teachers should teach.”—it seems we’re in the all clear. Or we could just keep it our little secret to share with our colleagues and friends. Last week third through eighth grade students across New York State took the three-day marathon known as the Common Core English Language Arts Test. And if the feedback left on testingtalk.org, the website set up by some of the best literacy minds in the country, is any indication, it was not a pretty sight. Words like travesty and debacle—and even sadistic—appear with some regularity as do many stories from both teachers and parents about student acting out in various ways to deal with the pressure and stress, such as the parent who came home to find her son beating a bush with a stick. Applied to our current situation, I interpret this as meaning that the whole one-right-answer approach to testing is a function of the vise-grip that powerful corporate interests have over education these days, not on some unequivocal truth. 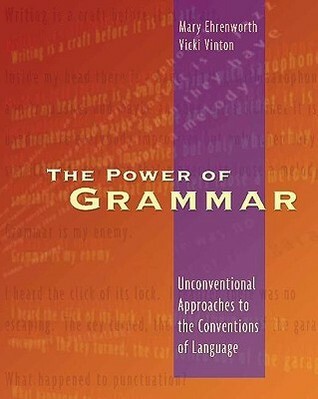 And in addition to adding my voice to testingtalk.org, I decided to push back this week by reviving an idea I tried out in my first year as a blogger: inviting readers to read a short text, this time 20/20 by author Linda Brewer, and share what they made of it, knowing that it’s the diversity—not the conformity—of our interpretations and the particular way we express them that enriches our understanding of ourselves, the text and the world. Your task, should you choose to accept it, is not to focus on, say, how paragraph four develops the main character’s point of view or why the author used the word ‘choked’ in line six. Instead I ask you to do what the test-makers seem to consider Mission Impossible: to think about the meaning of the whole story, which will almost inevitably entail looking at the story through the eyes of the characters, the eyes of the author and ultimately your own eyes, as you consider what you think and feel about what you think the author might be trying to show us about people, the world, or life through the particulars of this story. And I invite you to do that by simply paying attention to what you notice in the text and what you make of that. Then in the spirit of collaborative learning, real reading and community, I invite you to share your thoughts about the story, how you arrived at them and what the experience felt like by either clicking on the speech bubble at the right of the post’s title or on the word ‘reply’ at the bottom of the post, right after the list of tag words. (Email subscribers can used the comment link at the end of the email.) And if anyone wants to try it out on some students, please go right ahead! As other educational bloggers, such as Grant Wiggins and the teacher behind “TeachingTweaks,” have noticed, lesson plans are filled these days with learning objectives and targets, which spell out what students supposedly will be able to (SWBAT) do by the end of the lesson. These objectives and targets, most of which refer to specific standards, are also often written on white boards or posted on classroom charts, and teachers and/or students often read them aloud before the lesson starts. In addition to proving to the powers that be that we’re aligning our instruction to the Standards—and have clear objectives in mind—I think this practice is intended to make the work of reading more visible to students. As anyone who’s read What Readers Really Do knows, I think it’s critical to make the invisible work of reading visible. But saying that you can do something doesn’t necessarily ensure that you can, as I’ve been recently seeing. Or put another way, talking the talk doesn’t mean that you can walk the walk. As you may have found yourself thinking as you read that, I thought there was simply too much going on, with too much of it disconnected. And having been invited to take liberties with the lesson, I decided to focus it instead on how writers use and develop metaphors to show us how characters change. And rather than following the lesson script, which instructed me to begin the class by “reviewing the learning targets with students by reading them out loud,” I instead simply asked the class what they thought a metaphor was. You could hear the proverbial pin drop in the room, so I asked everyone to think about a metaphor in the book they’d talked about before, then to turn and talk to share with a partner what they thought a metaphor could be, even if they weren’t quite sure. This at least got everyone talking, and amid their uncertainty we did hear a few students say something about comparing. Their memory banks kicking in more when I clicked on the following slide, which represented some of the metaphors that appeared on their “Metaphors and Themes” chart. They were sure that the image on the top left was Abuelita’s blanket, whose zigzag pattern was like mountains and valleys that represented the ups and downs of life. And for me that raised the question: Had they learned that the blanket was a metaphor for life either because it was so explicit or the teachers had led them there, or had they really learned how to think about metaphors in a deeper way? Since the blanket featured prominently in Chapter 10, I wanted to see if the students could think more deeply about its role in the story. And to do that, I put the students in groups and gave each group a piece of chart paper (wanting also to break out from the workbooks with their worksheets and graphic organizers). I then read the following page in two chunks, asking the students to talk about what Pam Munoz Ryan might be trying to show them about the meaning the blanket, then to write down some of their thoughts on the paper and illustrate it in some fashion. For the first chunk, which ended with the words “Mama’s lungs,” different groups noticed different things. Some, for instance, thought about what the blanket must mean to Mama, who was so ill she barely could speak. Others thought it might be important that Esperanza had seemingly forgotten about it, while still others noted that the dust had gotten into both Mama’s lungs and the trunk and they talked about what that might mean, which led them to consider how the blanket and Mama’s lungs might be similar. With the second chunk, many were reminded of how Abuelita would weave her own hair into the blanket, which made it seem to mean even more—almost like a stand-in for Abuelita herself. And some noted how the blanket held the scents of both smoke and peppermint, as if it contained both the good and bad memories from their life in Mexico. And all this made them feel the significance of the moment when Esperanza, who’d expressed no interest in crocheting before, takes up her grandmother’s crochet needles and starts to finish the blanket. I think the truth is that if we’re truly asking for deeper thinking and understanding, we can’t know we’ll get it for sure until we see or hear it. And we can’t expect to hit our targets without giving students lots of time to practice. If we thinking otherwise, we’re fooling ourselves—and we’re misleading our students.